4) Video Chat	Later these features will go separately,	so you will be able to buy them	additionally. What do you want to launch? Chameleon Social Networking Software allows you to create a social network or dating site just in seconds! It is our flagship software with all the features we have been working on for the last 10 years. You can also browse the unique designs! Read more about this product | View video introduction! If you have some special feature or site on your mind we can make it for you. Just visit drop us a line at info@abk-experts.com with your technical specs. The coders will reply to you with their price. Our coders have a vast experience in the community software field and the costs are exptremely low. Do not use freelancers, use our specialists to get the best results possible. Starting with as low as $47! Order your custom feature now! We strongly recommend you buy the licenses with the unique design option. This will help you create a site that will be unique and will not look like another Facebook clone or LinkedIn clone. Nobody likes clone sites, all popular social networks and dating sites have unique designs. In this gallery you can see some examples of the sites that we have made for our clients. Browse our unique designs’ gallery! Here you can see some live social networking and dating sites using our software. Please note, not all of them are established sites and there many which are very new ones. But there are also many of them that have thousands of active members by now. 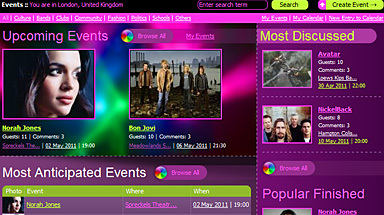 Look at some live sites using our software!